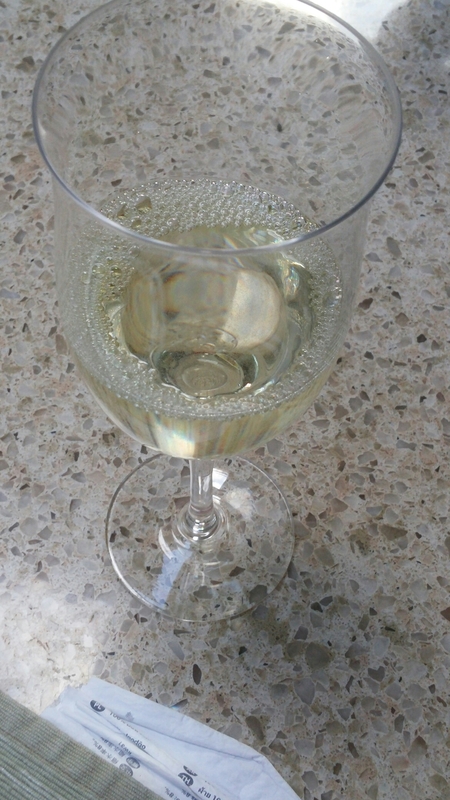 Riesling has to be one of my favourite, if not my favourite, white wine grape. Wines made from this grape range from the voluptuously sweet to the steely dry, as well as refreshing low achohol off-dry ones in between. A truly versatile grape and wines made from it are great with food, particularly anything with a touch of spiciness. It is fair to say that riesling, whilst beloved by the wine trade, is still shunned (certainly in the UK) by the vast majority of the wine buying public. This is due in part, still, to the baneful shadow of Blue Nun and its ilk. 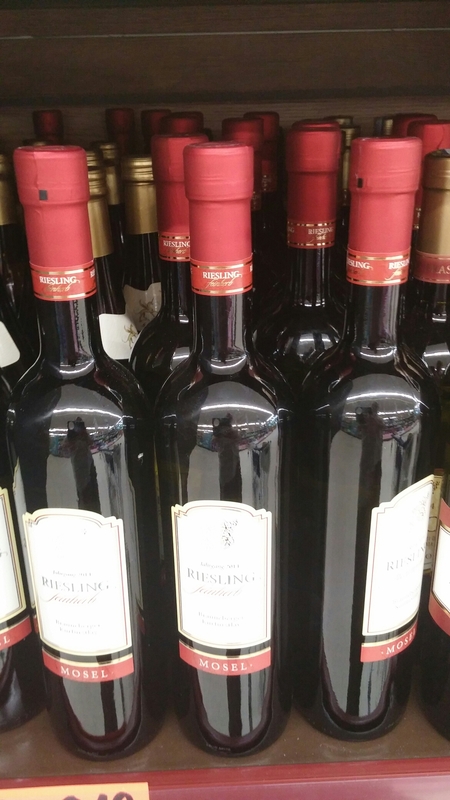 People still associate riesling and, in particular, the bottle shape it is usually sold in with Blue Nun. Not only is this a great shame, it is totally irrational as in the bad old days of the 70s and 80s the principle grape in “Blue Nun” was not riesling, but the entirely different and infinitely inferior Müller-Thurgau grape. As such, when “Blue Nun” and the like were effectively trashing the reputation of German wine (and with it riesling) it had no riesling in it at all. I have to say I don’t think the German classification system does them any favours either, with people put off by the risk of inadvertently buying something sweet when looking for something dry. Under the German wine classification system Kabinett, Spatlese and Auslese wines can all be either dry, medium or sweet. Not helpful that, is it! The thing to look for if you want dry is “trocken”, with Halbtrocken or Feinherb referring to a medium dry wine. Why they don’t just universally adopt (some do, some don’t) the number system (1= driest) is beyond me mind. 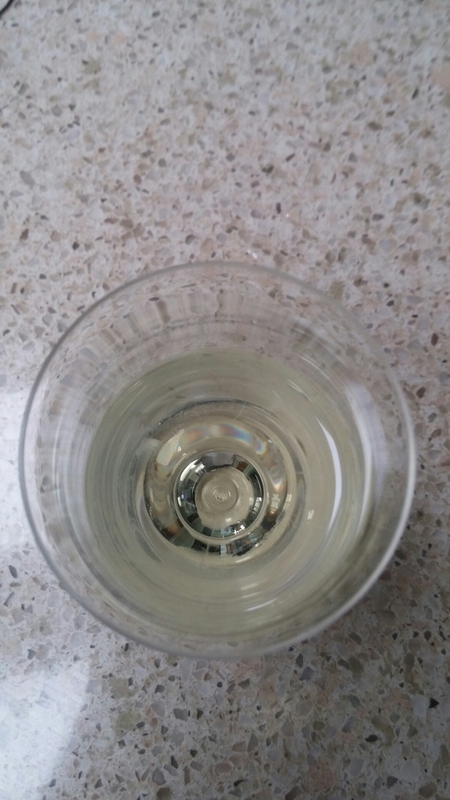 Anyhow, the curse of the “Blue Nun” is slowly fading and the dry, zippy, citrussy rieslings coming out of the Southern Hermisphere (particularly the Clare Valley in Australia) are introducing a younger crowd to this marvellous grape (which will hopefully lead them to the joys of the Old World wines of Alsace and Germany). With a view to looking at the old guard and the young pretender expressions of this grape, I bought a German Riesling for the Mosel Valley (along with Alsace, surely the grape’s spiritual homeland) and one from the Clare Valley in South Australia (hence the “Something old, something new….” post title). This is what l bought and what I thought. The late, great, Jim Barry recognised the potential of the Clare Valley for Riesling early on, being one of the first to move into the area, locating his vineyard on one of the highest spots in the area. On opening the screwcap bottle there were aromas of lime zest and mandarin on the nose, which intensified in the glass. I love citrus fruits, but mandarin I actually loath (not quite the devil’s own fruit, that is the ghastly Clementine in my view, but not far off). Normally any hint of mandarin would have me running a mile, but here it was only in the background adding a mellowing sort of pithiness to the lime zest. On the palate there is more citrus (lime and lemon, not too much mandarin thankfully), followed by a touch of nectarine. 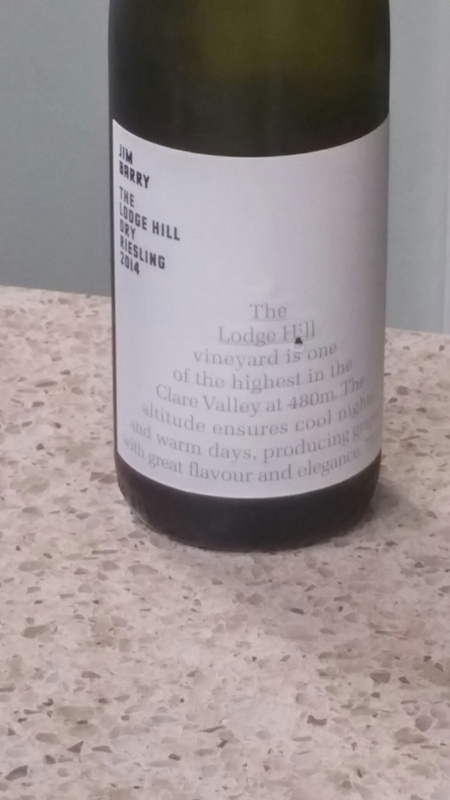 It had a good length with the flavour staying in the mouth and a very refreshing acidity. Very gluggable. Perfect on its own, at a quite low (at least for an Aussie wine) alcohol content of 11.7°, I would happily spend an afternoon in the garden listening to the Ashes (no doubt England getting stuffed, much I suspect to Mr. Barry’s joy – I live in hope rather than expectation that England will surprise the Aussies) with a bottle of this stuff. It is also an excellent food wine and a great match for seafood or chicken dishes with chilli, ginger or lemon grass in them. I had it with a stir fry and it was a perfect match. Classy wine this, showing off what the riesling grape is capable of producing in the New World and at £9.99 pretty good value for money. I defy people to try it and not like it. An altogether different beast from the Jim Barry wine, with much sweeter fruit on the nose and palate. The initial aromas were of sweet baked apples and orange zest with a touch of spice (cininmon – think apple pie). On the palate there was spice again, but the fruit was more apricot, as well as citrus but here the more mellow flavour of orange. It has a very lush, almost honeyed, finished to it. I suspect many people will think this wine unduly sweet and the first taste is certainly a lot sweeter than most people in the UK would go for (a 3 or even 4 on the standard sweetness scale I would say), but there is a lovely freshness to it which, coupled with the mega low 8.5° of alcohol, makes it eminently gluggable. It, however, really comes into its own as a food wine, with it pairing brilliantly with any food with a bit of spice to it – so any Asian food with not to much blistering heat. It also goes very well with fatty pork (belly) as well as smoked fish. 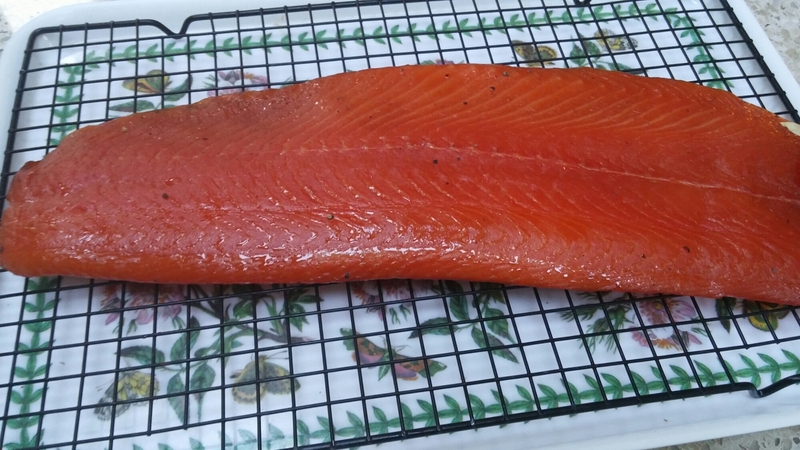 Perfect with my home smoked salmon for instance. Mrs. SF, who is not generally a fan of off dry whites, initially turned her nose up at this wine. She, however, conceded it was a perfect match for a coconut laden Goan chicken curry I had cooked for dinner the night I opened this bottle and from there on in she enthusiastically helped me polish off the bottle. Classy wine this and a bargain buy from Costco for the price. 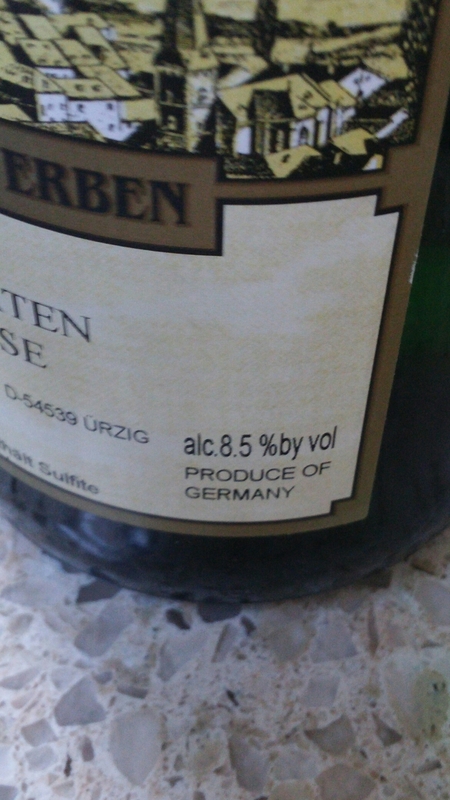 As mentioned earlier, the labelling on German wines isn’t always very helpful and this wine is a case in point. Two very different, but equally good wines. Riesling really is a perfect grape for us Brits, with our love of food from the Indian subcontinent and the Fast East. 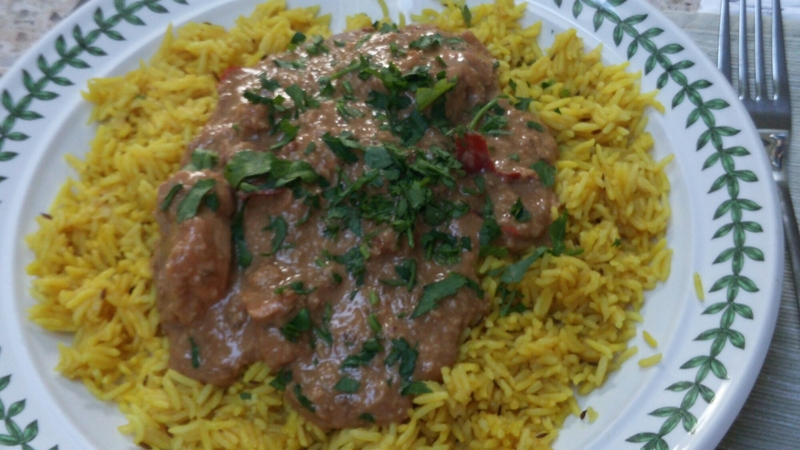 Think those tricky foods to pair with wine such as Indian curries, Chinese, Thai, Vietnamese or Malay food where the normal default option is dull as ditch water lager (or a wine that the food annihilates). Well a riesling wine would be a perfect match for all of them. 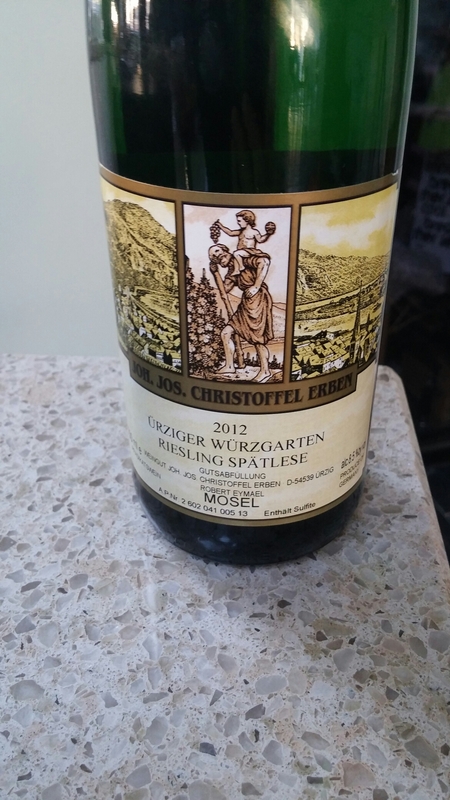 Don’t be put of by the off dry nature of some Germany riesling wines, as it is the slight sweetness of these wines that works so well with spicey food. Would I buy again? Definite yes for both of these wines. 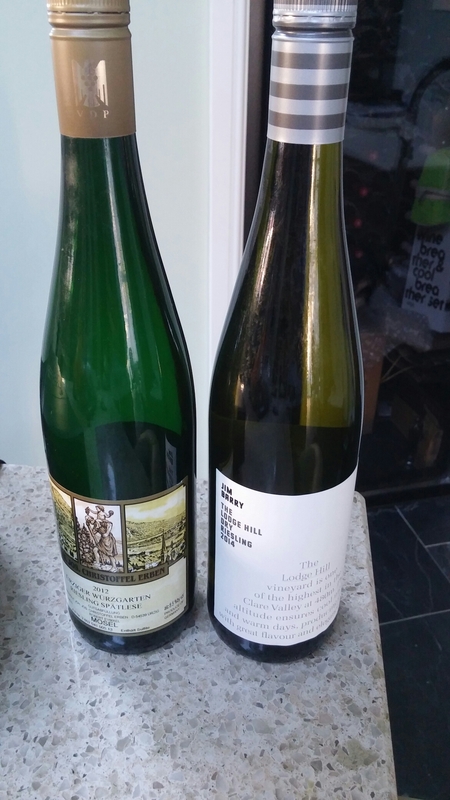 I love riesling and these are great examples of two very different styles. 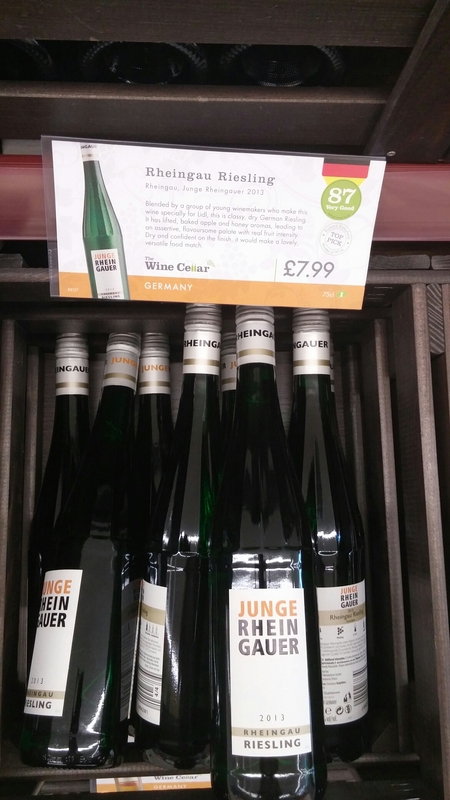 is great value at £6.99 and a good introduction to the joys of riesling. and their “off dry” (Feinherb – a 3 on the sweetness scale according to the label) Mosel riesling also looks interesting, although I have yet to try it . 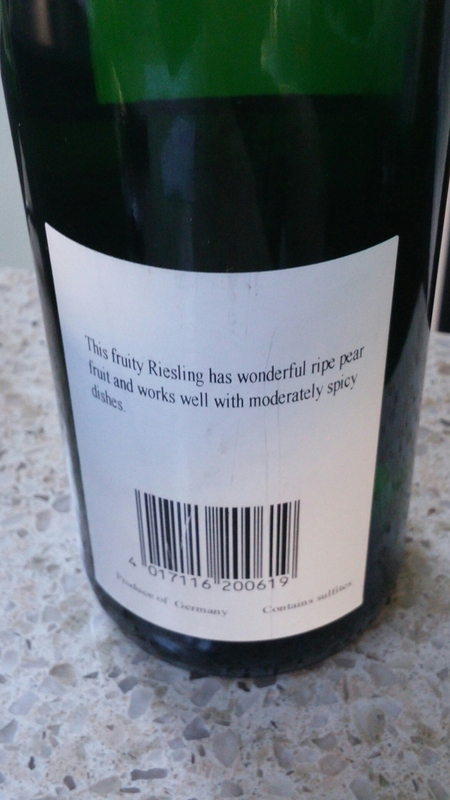 It makes me a bit sad that riesling is not very popular in the UK, but on the plus side the fact that it isn’t means more for me. 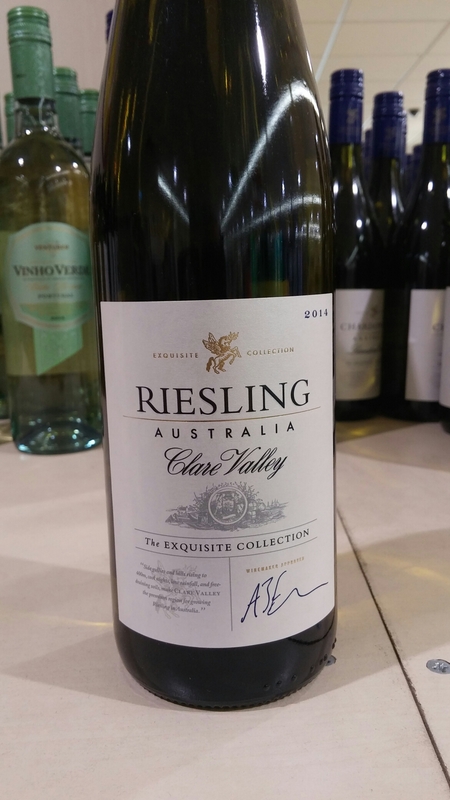 This entry was posted on Jul 5, 2015 by solicitingflavours in Aldi, Australia, Australian wine, Austrian Wine, Drink, Food and wine products, France, French wine, German wine, Germany, Lidl, low alcohol wine, Outside Wales, Riesling, Supermarket wine, White wine, wine.